Rating: Decent-Very Pretty and Well Themed but not Scary. Recommendation: Go if your nearby. 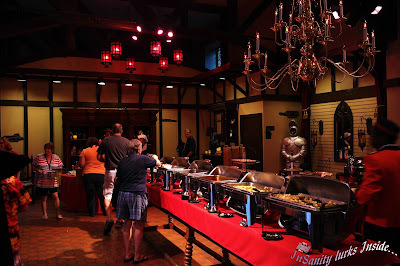 We where invited by Busch Gardens Williamsburg for the Media Event regarding Howl-O-Scream. In this included a second day admission, it was also opening weekend so all the scares may not yet have been in place or fully operational. 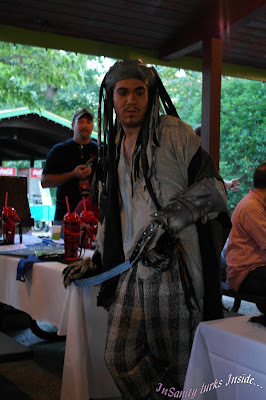 Our night began at 6:13pm with some pirate style shenanigans in theme with the newest haunted house that's come to Howl-O-Scream, Cut Throat Cove. Our hosts we're the lovely 'Stephine' and his first mate, who entertained us while the Busch Gardens staff was getting ready for their presentation to the media members assembled. The park was nice enough to throw in a few goodies also, we got free tickets to the newest themed eatery for the event called "Blood Banquet" as well as a voucher for free face-painting (because seriously, who doesn't like face-pant?!). Also included was a free 'Howl-O-Scream' drink cup and a draw-string bag which advertised the new show for 2014, London Rocks. After a bit of time we finally go to hear from Kevin, the director of public relations for the park who gave us a nice run-down of the new TERRORitories and some more information about the newest themed area. Next we heard from Scott, who gave us a run down of the entertainment as well as some incite to producing the event. At this point it was about 6:45pm and all of us were getting twitchy, we wanted to explore the haunts. Finally we were released and dozens of media folks spilled into the park, cameras at the ready. To begin we headed straight for the bar the buffet, as our entire group was at this point rather ravenous. Blood Banquet is new for 2013 and is in the Austria section of Germany, where the discount store is normally located. Inside we found a rather pleasing variety of food goodies for our enjoyment. The banquet offers both hot and cold food, snacks, desserts and drink for the price of $20 per person. We tried to sample nearly everything but I must admit I found the Pork Kebobs and the Lamb Stew to be above excellent. The food is surely worth the price of admission and if that isn't enough you get a little show along with your meal. Actors in very cheesy (but perfectly themed) costumes entertain you while eating even going so far as to have a small song and dance number. From dinner we bee-lined into France because the new theme of "Demon Street" was one we all were looking forward to experiencing. The park went so far as to include a 'burning wood' smell into the fog, so Paris really was afire with demonic energy. The fact they added in a Demon DJ gave the area a real party atmosphere with a nice creepy level. 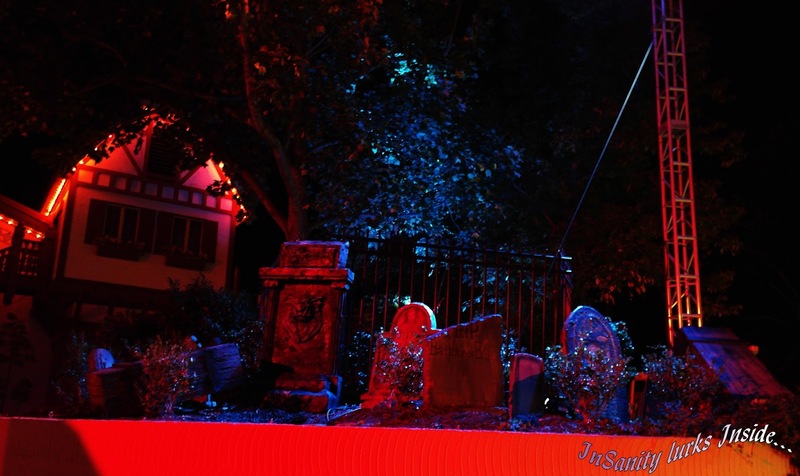 The costuming in this area was amazing but sadly, we didn't see many scare-actors are all. I'm not sure if this is simply due to it being the first night or if perhaps they aren't fully staffed yet. Also new in this area is "Demon Drinks" which is a semi-themed bar area for adult libations. At this point things began to get very crowded, which rather surprised us as it was opening night. The maze in this area is Catacombs but sadly the line was simply too long (already an hour) by this point, so we had to skip this one. Thankfully Catacombs is a returning maze from last season, which we found amazingly detailed and spooky inside (although short on actors). Since England doesn't have a haunted house this season and we headed towards one of our favorites, the returning haunted house "Dead Line". This haunt is found in Escape from Pompeii or to be more exact, below the ride which has always given it an extra 'werido' factor. It fits the theme the house has which is basically toxic gas turning people to monsters. Pro-Tip: While inside 'Dead Line' take a moment and look up. You'll see the water ride's track above you! The themeing inside is excellent on so many levels but we began to notice an unpleasant fact, this haunt was lacking in actors. Could this just be due to opening weekend? We're honestly not sure. 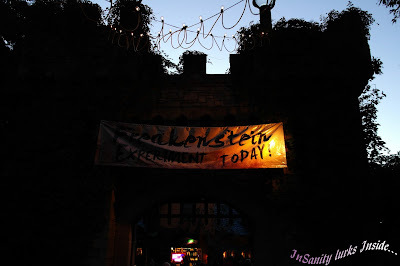 In the past this haunt has been crawling with scare-actors to the point you couldn't get ten feet without another one being in your face and after your scare. This season we just didn't see any of these numbers, perhaps a total of 15 people which for such a long (and amazing looking) haunt is a crying shame. Little did we know this that was going to turn into a trend throughout our night. Speaking of Pirates, Cut Throat Cove and Ports of Skulls was our very next stop. This is the new area which replaced the tired, old clowns of last year. 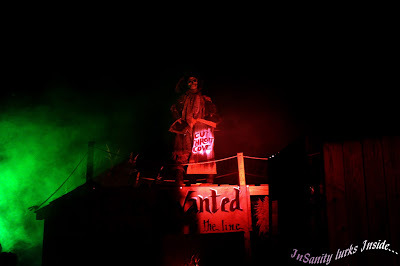 The entire area is themed to undead pirates from the start of the Festa Italia bridge to the bridge leading to Germany. It's a feast of pirate goodies, pirate flags and twisted pirate ghouls. Also found here is a new themed bar called "Pirate Barrrguh"featuring some delicious rum-type drinks (trust me, we tried them- Very yummy!). Pro-Tip: Keep your glass, refills at the various bars are $2 less if you already have one! 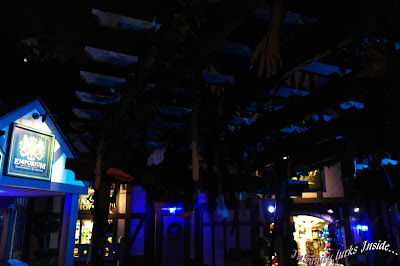 This area seemed to boast the most pathway scare-actors although most of the scares we witnessed we're startles. However, everyone we noticed was in character and doing their best to scare the hordes of people traveling around. 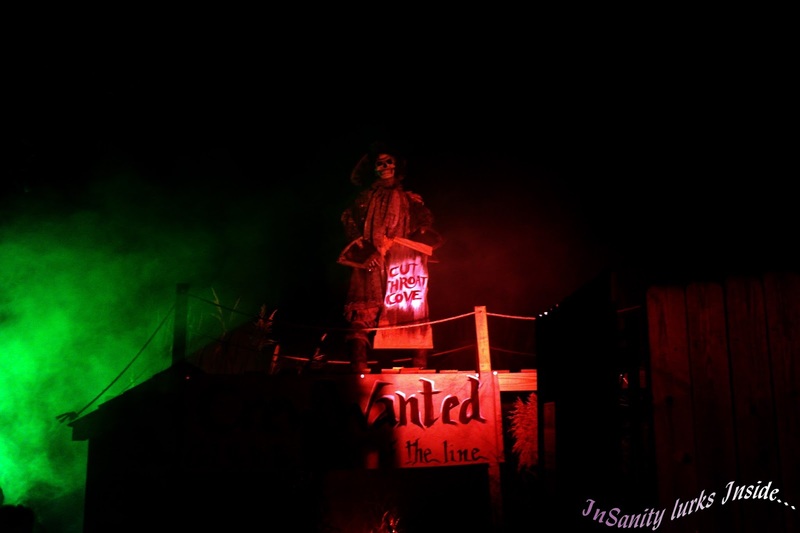 The new haunt, Cut Throat Cove is back behind Roman Rapids. The line was well over an hour long but with it being the newest addition media was allowed to jump the line. Inside we found the bowels of a pirate ship, a shanty town and a twisted and turned path which will confuse your sense of direction. Character actors are peppered around inside and they stay true to their area, although I could really wish for more. Again, we don't know if this is due to it being opening weekend or simply short staffed. Being so close to Germany, we headed back in that direction towards the Vampire themed area. Here you'll find an old favorite of ours, a bar called "Open CASKet" with vampire 'style' drinks and some delicious jello shots. Behind the festhaus, in the old ride buildings for Drachen Fire is the haunted house "Bitten". While the themeing inside is amazing, I found the scares lack-luster. It just seemed like the folks inside just weren't into the house or the scare. Lot's of hissing and some 'get outs' but it all seemed rather half-hearted in my opinion even if it was nearing the end of the night. One thing I barely spotted in this area was pathway scare-actors, I didn't spot more then one while we traveled through which is rather disappointing as last years event this area was simply crawling with them. You couldn't walk ten feet, even in a crowd and not hear someone scream. This year, I simply didn't see or hear it. At this point the event was beginning to wrap up and with the crowds we simply couldn't make it into every haunted house much less see any of the shows. I've said it before and I'll say it again, 4 hours for this event simply isn't enough time to see everything. 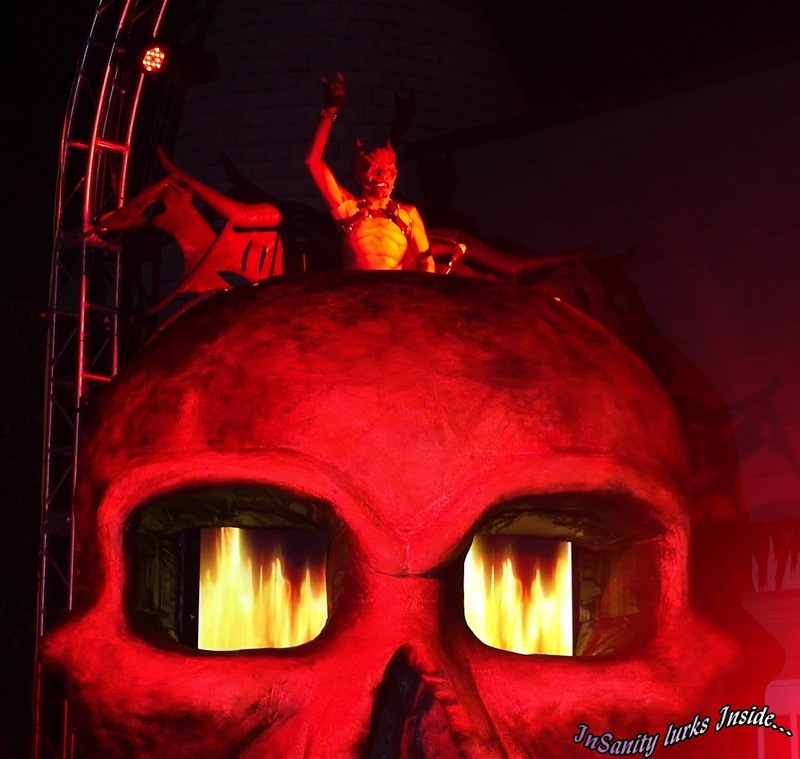 So seriously, plan on spending at LEAST two days at Howl-O-Scream to see the shows (which run during the day) as well as the haunted houses and scare-zones. The only other way around is to spend a full day at the park and spring for the 'Quick Queue' which will get you into all the haunted houses at least once as well as some of the rides. 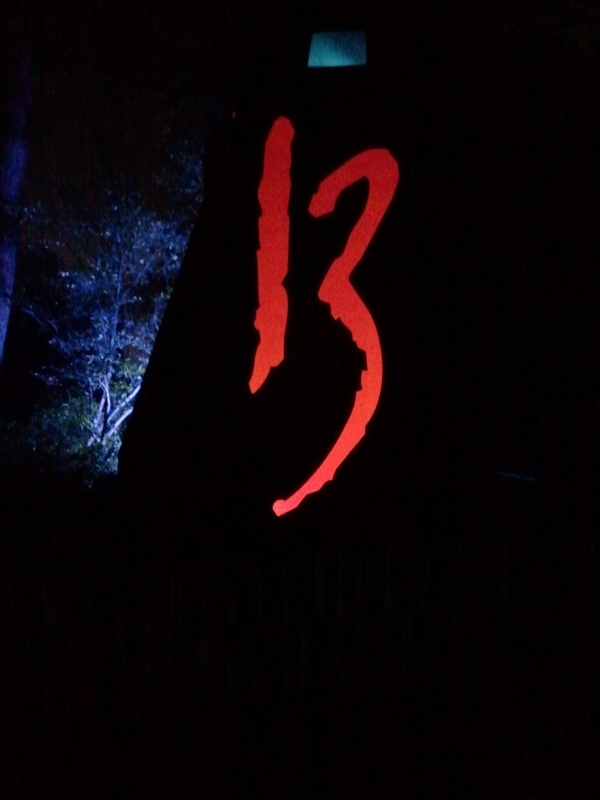 We headed next to Ireland and saw that the haunted house "13- Your Numbers Up" still had nearly an hour line. There simply wasn't enough time to get into the house at this point, which was rather disappointing. Thankfully the way we arranged our time so that we wouldn't miss the haunts we hadn't seen last season as well as the new area. So while we didn't tour "13- Your number is up" this season I can tell you what it's about as it's been around three years now. 13 is themed from 13 of the darkest phobias people have. For example you'll encounter Spiders, Bugs, Darkness and other such goodies just prime for scaring the pants off the easily jumpy. Last year it was good but I can't say it was amazing, this year I can't really comment as we didn't make it into this haunt. Root of all Evil is the sixth and final haunted house located within the park, it's also another one which boasts a line over an hour when we stopped in. Since we had other houses which needed the attention at was bypassed for time, although much like the other haunts we had to miss we did check it out last season. 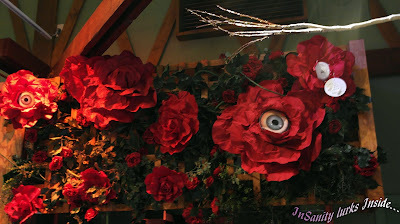 Root is themed off a greenhouse where the darkest part of Busch Gardens lives, it was also the featured house last season. While root is amazing to look at and fun to walk through, last season we found it to be the second best house. The actors all seemed into their rolls and really did a lot of work to scare as many folks as possible. I do hope the creepy gardener dude returned, he was simply amazing! However, I can't say if the house has the same level of quality this season. On the way out we got to take our time to England and really enjoy the new theme which was put into place. In the past England hasn't had much themeing but this season it was done up as "Ripper Row" and stalked by 'Jack the Ripper' himself. Aside from the new Port of Skulls this area has to be the biggest upgrade I'd seen. They went all out, adding in these crazy trellises of streamers and body parts! Posters showing a reward for the capture of the Ripper, An old fashioned hearse and even piles of caskets for victims littered the walkways. While it was so late we didn't get to witness any of the actors out and about, the theme alone says this area has to be good. I'd hope in the future Busch Gardens will consider making a haunted house after this theme, it'd be an excellent addition to the park. 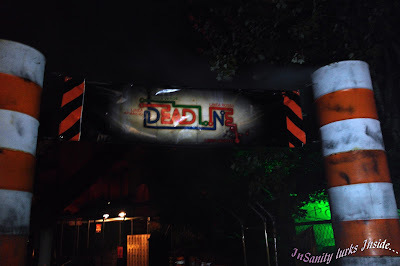 Overall Howl-O-Scream is a good event but from what we experienced, it has some issues. The biggest being the overall lack of actors both in the haunted houses as well as on the pathways. From what we saw this year just seemed to have a reduced number when what they really need is more people out there and getting in your face. I can't speak if this is just a flaw of opening night or not but it really should be addressed so people have an even better experience then we did. The event also needs to run longer, I can understand an early closing on a Sunday but the peak days of Friday and Saturday should go till midnight at least. As I said, it gets very crowded very fast and lines get long in the blink of an eye. Additional time would give people a chance to see and do more if they only have a single day/night to visit. Pro-Tip: Pay for the premium parking, it's an additional $10 on top of your normal parking fee but you'll get out of the park much faster. We waited nearly 2 hours to exit on Saturday night. Personally, I didn't see anything that would scare me but if you have smaller kids you should really consider if this event is a good fit for them. 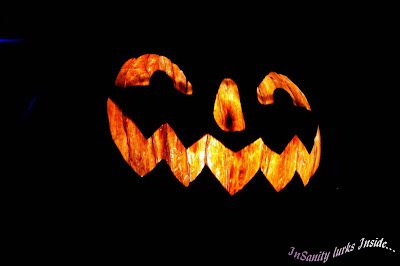 The event begins at 6pm so you can easily leave before the spooky stuff begins. Follow #HT2013 for more live haunted house updates and reviews! You can also follow along on Twitter @ISIParksBlog and GooglePlus as +Carrie H.C.